Situated in the Edmondson Village neighborhood of West Baltimore, St. Bernardine Catholic Church has a storied history. As one of the largest Catholic parishes in the City in the 1950s, it nearly closed 20 years later when it struggled to adapt to changing demographics and a changing Catholic Church. In 1975, Msgr. Edward Miller arrived and chose to see opportunity in the face of the Church’s challenges. He worked with the community to grow St. Bernardine’s into the largest African American parish in the Archdiocese of Baltimore. Today, under the leadership of Msgr. Richard Bozzelli, the parish serves 900 households and is celebrating its 90th anniversary year. The legacy of Msgr. Miller lives on at St. Bernardine’s. Multiple generations of families remain active in the parish, including the family of one of the first African American parishioners. Even the Church’s leadership is inspired by Msgr. Miller’s approach. The current Pastor was mentored by Msgr. Miller for more than 20 years. He became Pastor of St. Bernardine’s in 2014, a year after Msgr. Miller died, and helped the parish emerge from its grief. Msgr. Bozzelli’s focus on the community has been a steadying force: the parish is active in the local community association, 40 West Ministries; they host an ongoing food pantry; they provide Christmas gifts and dinner to 100 families each year; and they host an annual neighborhood walk on Martin Luther King Day in honor of their late pastor. Built in 1928, St. Bernardine’s Church continues to have a strong spiritual presence, but a deteriorating structural one. Msgr. Bozzelli recently launched a capital campaign, Destined Under the Dome, to make some much-needed repairs and upgrades. The initial campaign goal was $800,000, and the Church has pledges just shy of $900,000. A grant from the Knott Foundation, designated to repair the exterior steps leading up to the Church, helped kick-off the campaign. 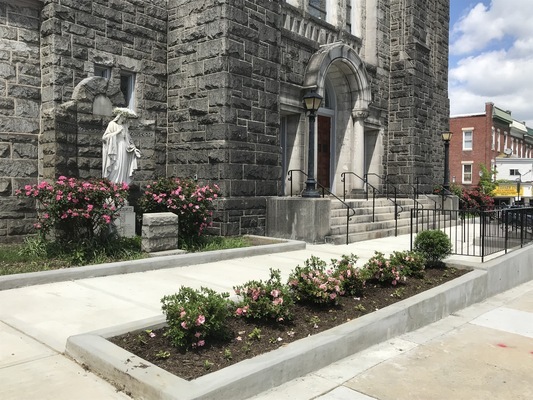 With the Foundation’s funds as well as help from parishioners and the Archdiocese, the entrance to the Church was renovated to include new steps, a landing with a small courtyard, and multiple access points from the Edmondson Avenue and Mt. Holly Street. When Macy showed up at Charm City Care Connection’s clinic in East Baltimore, she wanted help getting medical insurance coverage. The case management team signed her up for Medicaid and reconnected her with her primary care doctor. They also recommended she do some preventative health screenings their medical team was offering that day – which was how they found her blood pressure was dangerously high. Without insurance for several months, Macy had been cutting her blood pressure pills in half to save money. Now facing a health crisis, the clinic staff rushed her to East Baltimore Medical Center where a medical team got her blood pressure under control and restarted her on the correct dosage of medication. Crisis averted. 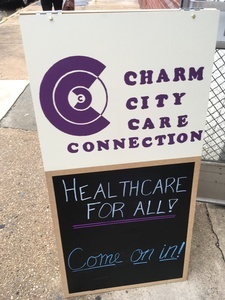 Founded in 2009 by Hopkins students in collaboration with the East Baltimore community, Charm City Care Connection (CCCC) helps Baltimore’s poorest families access high-quality medical care and social services. CCCC staff and volunteers meet with clients through walk-in clinic hours at two community locations and build long-term relationships with them through home visits, phone calls, text messages, and hospital visits. “Macy’s case is a wonderful example of how we connect residents to the health care they need and want, and also find undetected health issues that could easily get out of hand,” says Wynn Engle-Pratt, Executive Director of CCCC. Macy is now working with CCCC’s medical student volunteers on long-term goals to continue to improve her health and wellbeing. CCCC received a Knott Foundation grant in 2017 to expand its services and open a second clinic location. Using neighborhood indicators, the organization selected Dee’s Place as their second site. Dee’s Place is one of the only 24-hour-a-day addiction programs in Baltimore, and research shows addiction issues have a strong correlation with chronic health and social service needs. With two locations in East Baltimore that residents know and trust – Dee’s Place, and one at The Men and Families Center – CCCC has seen its client base grow by more than 40% and has been able to make even more referrals to social services. Most often, clients need help getting dental care, finding affordable stable housing, and enrolling in medical insurance. Access to mental health treatment is a rising need as well. “Overall our success rate is about 75% for meeting a client’s individual need for services,” notes Engle-Pratt. The most common barriers are dental care (which is often not covered by insurance) and access to mental health treatment. CCCC hasn’t stopped growing. The organization just piloted a community training program for Naloxone use in emergency situations and is now looking to develop a healthy cooking and lifestyle class. They are also preparing to welcome a group of new nursing student volunteers from Johns Hopkins School of Nursing to complement the teams of medical residents and students already dedicating their time to CCCC. When he’s not running the Front of House at Baltimore Center Stage, you might find Alec Lawson, Audience Services Manager, narrating one of the theater’s productions for a visually impaired audience member. 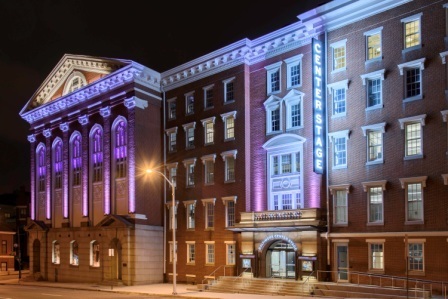 Founded in 1963, Baltimore Center Stage is the City’s leading professional producing theatre, named the State Theatre of Maryland in 1978. It welcomes nearly 100,000 people each season from all 24 Maryland counties. 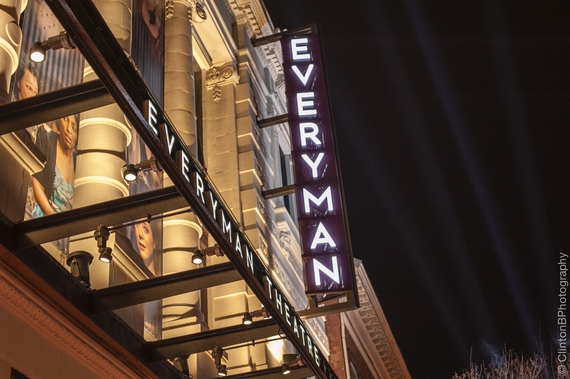 In 2017, the theatre completed a $33 million renovation, which included upgrades to the technology and services available to patrons with special access needs. The Knott Foundation supported Baltimore Center Stage with this work, awarding a grant for new assistive listening devices, improved captioning services, American Sign Language interpreted performances, increased audio description offerings, and more availability of Braille and large print programs. Audiences are putting the new services and equipment to good use. Approximately 750 people each season benefit from assistive listening devices and captioning services, and another 15 members subscribe to the American Sign Language interpreted performance of the mainstage productions. Braille and large print programs continue to be printed at 20 per show. An average of 100 people also attend “touch tours” of the theatre each season, where they learn about a particular performance by touching props, costumes, and stage items. While staff originally designed the tours for the visually impaired, a large number of attendees have been children. “By opening the touch tours to everyone and attracting lots of kids, it has created a really nice sense of community where we can all interact together to experience theatre,” comments Lawson. “Diversity and access are key priorities for Baltimore Center Stage,” notes Brandon Hansen, Institutional Giving Coordinator. He points to the evidence: One quarter of their audience identifies as a race other than white, and over a third of households have an annual income below $75,000. The newly renovated Head Theater is equipped with removable seats accessed immediately from the entrance ramp, with wheelchair accessible seats built into the theater’s design. Anyone can email access@centerstage.org with a question and one of eight staff members trained in accessibility issues will respond. Baltimore Center Stage’s accessibility program has achieved national recognition, so much so that Lawson and a colleague have been invited to present at the Leadership Exchange for Arts and Disabilities. Their presentation will address how to create inclusive programs that reflect diverse communities, how diversifying opens perspectives and opportunities, and the role volunteers play in a successful accessibility program. “It’s my heart and soul, and the most phenomenal place I’ve ever worked,” declares Mandy Arnold, President & CEO of Partners In Care in Anne Arundel County. Reflecting on her 23-year career in healthcare, she is thankful to be in a place where community members come together to help one another, with a special focus on the senior population. For 25 years, Partners in Care (PIC) has helped older adults remain independent and an active part of their community, through the exchange of the time and talents of its membership. Its membership has grown dramatically since its founding, from 13 volunteers helping roughly a dozen seniors, to more than 900 volunteers helping upwards of 1,000 older adults. 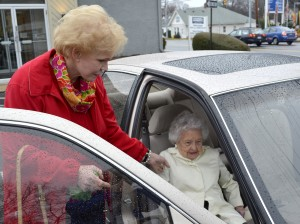 PIC’s services mostly consist of transportation and home repairs, both of which support seniors aging in place. Members do not pay money for these services, but rather give their time and talent in exchange for them. The membership process includes an application, orientation, and background check. Whether a member is a provider or receiver of services, everyone is considered a member, and no one is turned away. The Knott Foundation has awarded PIC five grants over the past 15 years, most recently for general operating support. “We could not do what we do without this type of support,” shares Mandy. One PIC member drove a patient to her chemotherapy appointments for an entire first round of treatment. When the patient needed a second round of treatment, the member rearranged her schedule so that she could be the one to continue driving her. The patient’s cancer is now in remission. Leveraging the time and talent of members is a serious part of PIC’s service model. Some members provide home repairs. Other members write birthday cards to the general membership. Recently, 25 members baked deserts for a local fundraising event. “Everyone has their own talent and all of these talents together is what we were created to be – an organization of neighbors helping neighbors,” Mandy concludes. “Science is the way we learn about everything in the world,” wrote one student. She was responding to the question, “How do you feel about science?” after partaking in the Port Discovery Children’s Museum STEMventures program. “Port Discovery’s research-based, proven philosophy is that playful, joyful learning broadens children’s horizons, builds their self-esteem, sparks their creativity, and piques their lifelong interest in subjects like science,” explains Bryn Parchman, President and CEO. The mission of Port Discovery Children's Museum is to connect purposeful play and learning, with the goal to develop smarter, healthier, engaged kids. Port Discovery is counted among the country's top children's museums and has served nearly five million visitors, or about 270,000 people annually. In 2016, Port Discovery teamed up with the four Catholic community schools in Baltimore City. Archbishop Borders, Cardinal Shehan, St. James and John, and Holy Angels Schools serve children in grades pre-K-8 from at-risk neighborhoods. “Our relationship with these schools is really an extension of our efforts to reach kids in as many low-income, urban schools as possible,” shares Christina McLoughlin, Grants Director. The Knott Foundation awarded Port Discovery a grant to offer its STEMventures after-school program to students at the Catholic community schools, as well as on-site workshops and field trips. After participating in five-week program series on themes including primates, nanoscience, and engineering, students from the Catholic community schools showed respectable gains in knowledge. For example, the percentage of students who knew primates are a group characterized by a large brain, 3D vision, and opposable thumbs grew from 46% to 90%. And 88% of students identified the correct image of a DNA molecule, a 60% increase from before the program. Equally as important, the students had fun. In Nanoscience Exposed, students learned about things too small to see and enjoyed a theatrical performance by New Moon Theater called “Alice in Nanoland.” The Everyday Engineers session taught about the five main branches of engineering – civil, electrical, mechanical, chemical, and aerospace – and allowed students to perform experiments, build structures, and create the ultimate slime. Beyond this content area knowledge, Port Discovery strives to create a comfortable atmosphere where children feel they can explore science. That feeling of comfort starts with the people in the room when the program is happening. With the same facilitators from the Museum running all of the programs at each school, students looked forward to their arrival and developed strong bonds with them. In celebration of our 40th anniversary year, the Knott Foundation is releasing three short video stories about our grantees. This video features Caroline Center, an education and health care career skills training program for women in Baltimore City dedicated to helping each woman see and achieve their potential in their personal and professional life. Established in 1974, Druid Heights Community Development Corporation (Druid Heights CDC) seeks to cause, encourage, and promote community self-empowerment in west Baltimore through economic, educational, employment, and affordable housing opportunities. “We’ve built more than 100 homes as a community developer,” states Pressley. “And this year we helped 28 families transition from renting to owning their own home. Our key to making this community more successful is home ownership,” he adds. 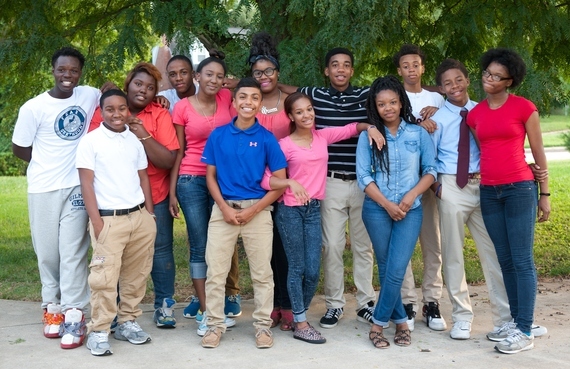 In addition to helping house a wide spectrum of people – from seniors to young families – Druid Heights CDC hosts a variety of youth programs, which the Knott Foundation has supported. A popular program is the summer camp, which is the only free camp in the neighborhood. The mandatory parent orientation for the camp showcases a video about the disparity between a child growing up in the county and one in the city. “The film helps parents buy in to the program – because if what we’re doing at camp isn’t supported at home, then ultimately we won’t get the kids where we want them to be,” reflects Pressley. 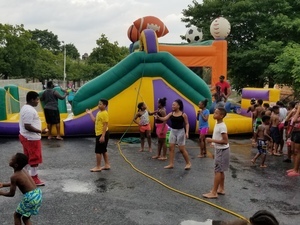 This past summer Druid Heights CDC hosted 86 youth and 40 YouthWorks students in its summer camp, with evaluations showing positive results in preventing summer learning loss, the camp’s primary goal. A large part of Druid Heights CDC’s successful programming for youth comes from community partnerships: the Maryland Food Bank (free supper), the Peabody Conservatory (twice weekly harp classes for youth), the Baltimore Policy Department (mentoring), and St. Peter Claver Catholic Church (gym space), to name a few. Often these partnerships bear witness to the organization’s commitment to building community and breaking down racial barriers. For example, during the grant period, Druid Heights enhanced its cultural enrichment program for youth by forging a relationship with Beth Am Synagogue, bringing together ten African American teens and ten Jewish American teens for two weekends per month for discussions, lunch, and travel. When Melvin came to Joseph Richey Hospice, he likely did not expect a party thrown in his honor. It turns out Melvin loved to fish, and he often spoke to the hospice staff about taking a fishing trip before he reached the end. 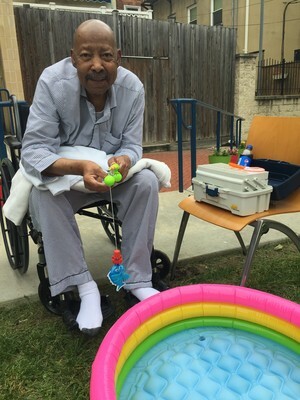 When a trip with a friend fell through, the staff decided to take matters into their own hands: they threw a fishing party for Melvin in the backyard of the house, complete with a kiddie pool, fishing poles, and party hats. For people like Melvin, Joseph Richey Hospice is often the only place to find quality, end-of-life care. “There are no other residential options in Baltimore City for people who don’t have the resources or a strong support system,” remarks Ted Blankenship, Director of Development. Joseph Richey House is a 19-bed hospice in Baltimore. No one is turned away due to an inability to pay. Like Melvin, patients often do not have a caregiver at home, or even a stable living environment. Some have experienced homelessness, incarceration, or addiction, and many have been underserved medically. Patients are referred to Joseph Richey by a physician because they suffer from a terminal illness and have less than six months to live. What they find when they get there, however, is a deeply compassionate medical team and support system, including a social worker, bereavement counselor, chaplain, and more than 20 physicians who volunteer their time to treat patients at the House. 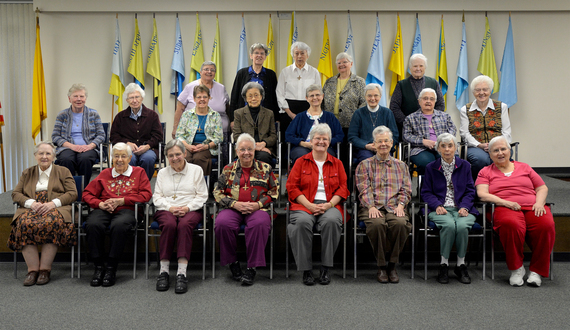 Joseph Richey was founded in 1987 by The All Saints Sisters of the Poor and Mt. Calvary Church. Since that time, approximately 8,000 patients and their families have been served. The Knott Foundation has supported the organization for ten years. In 2014, Joseph Richey was acquired by Gilchrist Center Baltimore to bolster its financial standing and prospects for future success. “Both Joseph Richey and Gilchrist saw a need that existed for end-of-life care in Baltimore, that otherwise wasn’t being filled. Joining forces ensured that commitment to serving the City and the underserved,” comments Blankenship. Gilchrist’s relationship with Joseph Richey has helped the hospice serve more medically complex patients, as well as cover the uncompensated care cost that the small nonprofit faces each year due in large part to the fact that Medicaid does not cover patients’ food and lodging. “We really depend on grants and donations from individuals to be able to deliver the care we are providing,” shares Blankenship. “With a strong organizational structure in place, recent capital renovations, and a burgeoning fundraising campaign, we are all very pleased with the growth that’s been happening at Joseph Richey House,” says Blankenship. This video features St. Francis Neighborhood Center, a community-based organization located in Reservoir Hill dedicated to ending generational poverty and strenthening connections in the Baltimore community. This video features St. Elizabeth School, a Catholic school for students with special needs. 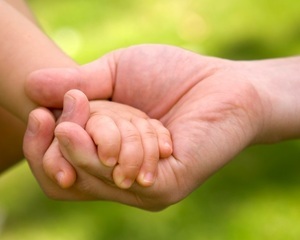 “While the number of children in foster care is declining in Maryland, the number in Allegany County has nearly doubled over the last four years, largely due to the drug epidemic,” says Misty Raines, Executive Director of CASA of Allegany County. Citing one of many examples, Raines shares the story of a young mother in Cumberland who recently died from an overdose, leaving her two young children with no options other than foster care. Located in rural western Maryland, Court Appointed Special Advocates (CASA) of Allegany County was founded in 2012 by two local citizens who had seen the results and benefits of CASA programs in nearby towns in West Virginia. The organization hired Raines as Executive Director in 2013, and in 2014 their first CASA was appointed by the court. CASA of Allegany County has trained approximately 40 CASAs since its founding. 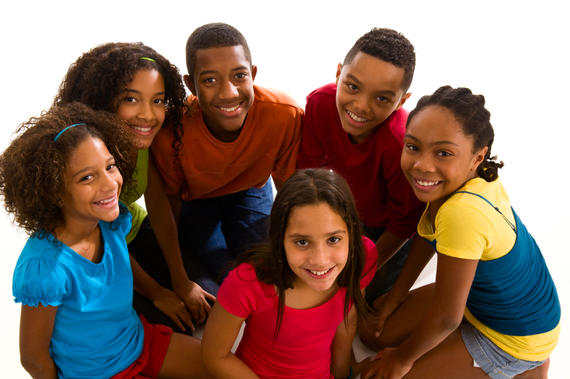 These volunteers are currently advocating for approximately 25 foster children, speaking to everyone on the child’s behalf in order to create the best life situation for them – whether that is adoption, kinship care, or other living arrangements. 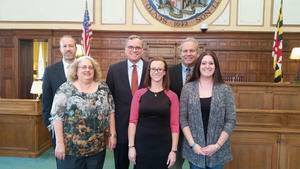 The Knott Foundation has awarded CASA of Allegany County two grants since it opened its doors. “When I think of where we were in the very beginning with our first grant – wondering what the next year would look like for all these kids in the foster care system – to where we are today with so many active CASAs, it is a testament to all the great people who have worked so hard to make a difference in our community,” shares Raines. CASA is a serious volunteer commitment in the life of a child, and volunteers are trained accordingly. CASAs go through a rigorous 5-week training program based on a national curriculum. All are asked to commit to 12 months of service, or the life of the case to which they are assigned. For some volunteers, this can mean several years of service. Such is the case for CASA Don, who has served his child for three years. Once or twice a month, CASA Don drives more than three hours to visit the child in a special group home setting. They go out for lunch, shop for things the child might need, see a movie, or celebrate birthdays together. CASA Don is his only visitor; the boy’s mother died of cancer, his father was his abuser, and he has no siblings. 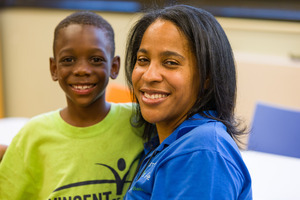 As one of the region’s larger human service organizations, St. Vincent de Paul of Baltimore provides a path from poverty to self-sufficiency for many residents of Baltimore. A continuous focus on program quality recently led the organization to investigate ways to use information technology to enhance the services delivered to those in need. St. Vincent de Paul of Baltimore’s mission is to ensure those impacted by poverty have the skills and resources to achieve their full potential. More than 150 years after its founding at the Basilica of the Assumption in Baltimore, St. Vincent de Paul’s programs remain inspired by its Catholic roots. Today, in the tradition of its founder, Frederic Ozanam, the organization continues to help people move beyond hunger, homelessness, unemployment, and childhood poverty. With 13 programs – including a homeless resource center, Head Start, housing services, family homeless shelters, and employment training – St. Vincent de Paul reaches thousands of men, women, children, and families each year, moving them beyond poverty to achieve a better future. These numbers represent significant growth over the past decade: In that time, St. Vincent de Paul has doubled its number of employees and added multiple new site locations and programs. Such exponential growth creates challenges and opportunities. “We recognized that in order to be a better, higher functioning, more informed organization, we needed to put some time and resources into information technology,” states Matthew Kurlanski, Director of Foundation Relations & Grants and a member of the Information Technology Architecture Steering Committee. Grant funds were spent on upgrades to the network infrastructure at 13 program sites, on a virtual Chief Information Officer, and on a network backup solution. The changes, however small, have begun to increase cross collaboration between programs and have made St. Vincent de Paul’s operations more streamlined and cost effective. For example, during a Baltimore City audit last year, documentation about programs was collected electronically utilizing the Office 365 cloud functions from multiple sites. This lessened the burden on front-line staff to sort and organize large volumes of paper and helped auditors to quickly and thoroughly review the organization’s program performance. Future efforts include transitioning from using four different data management systems to track progress across all programs, to a single tracking and evaluation system. “Our goal is to use information technology to lay the foundation for becoming a more collaborative, more unified, more outcomes-focused organization,” concludes Kurlanski. Special deliveries arrive each day at University of Maryland St. Joseph Medical Center: more than 2,200 babies are born at the Catholic hospital in Towson every year. For more than 150 years, University of Maryland St. Joseph Medical Center has provided loving service and compassionate care to the greater Baltimore community. Notably, the 238-bed hospital in Towson is the only Catholic hospital in Baltimore County providing obstetric services. “That is what sets us apart – our commitment to our faith-based mission,” states Jill Huey, Executive Director of the UM St. Joseph Medical Center Foundation. Daily prayers are said over the intercom. Brahms Lullaby plays every time a baby is born. A memorial service is held for all babies who are lost each year. “Our faith sets the tone for everything that happens in this institution,” Huey recounts. In 2012, the hospital became part of the University of Maryland Medical System (UMMS). Because UMMS is a privatized system, St. Joe’s was able to remain a Catholic hospital operating under the ethical and religious directives of the Church. “After nearly four years in UMMS, we have returned to profitability, have received numerous awards for excellence and, most importantly, our patients have come back, drawn by the loving care they experience,” comments Senator Francis X. Kelly, Jr., Chairman of the medical center’s Operating Board. That loving care is especially evident in the Mother Baby Unit. Yet the physical space has not always matched the superior level of service that families receive. Until recently, parts of the unit had remained untouched since the hospital was built in 1965. In 2015, St. Joe’s embarked on a capital campaign, Building For Our Future, to address the facility’s needs. The total cost to renovate the Mother Baby Unit was $2 million, and all $2 million was raised from public and private support – in just one year. The Knott Foundation awarded the largest foundation grant to the campaign, funding the design schematics for the renovated space. When finished in 2017, there will be a new welcome area with better signage, improved triage space, renovated postpartum rooms, and a bereavement room for families who experience a loss. With these enhancements, the hospital will be able to provide enhanced care for families, including a faster and more private experience for expectant mothers when they arrive at St. Joe’s to give birth. In the meantime, more special deliveries arrive each and every day as St. Joe’s joins new moms and dads in celebrating the birth of their children. An estimated 15-20% of the population is dyslexic or has a language-based learning disability (International Dyslexia Association). 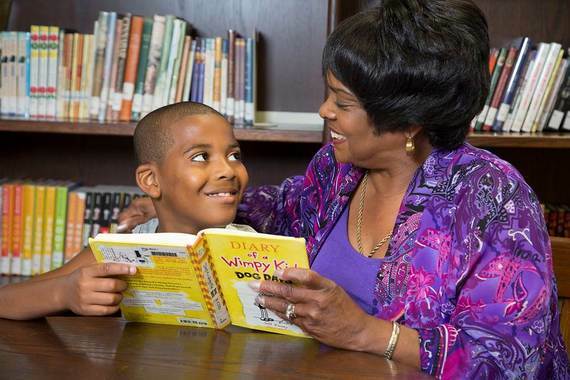 Couple that statistic with the fact that only half of all third graders in Baltimore can read at grade level, and the need to intervene becomes clear. Dyslexia Tutoring Program (DTP) was founded in 1982 by a group of concerned citizens who sought to demonstrate that with a small investment of time and energy, the chain of dyslexia could be broken. DTP works with approximately 200 children and adults in Baltimore and surrounding counties who are dyslexic or have a language-based learning disability and can’t afford private tutoring. 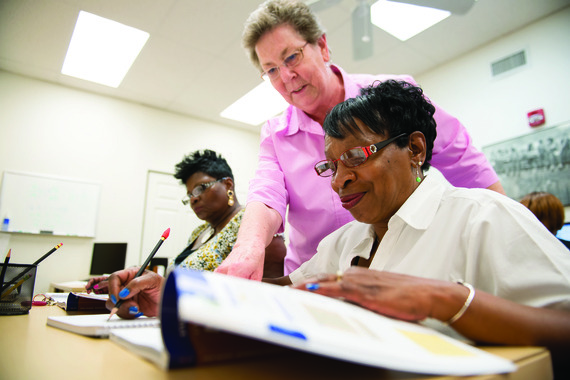 DTP’s volunteer tutors are trained in the 22-hour Orton-Gillingham method of teaching reading, writing, and spelling. They come from a variety of backgrounds including lawyers, teachers, stay-at-home moms, retired men and women, and business people. And they all want to give something back to their communities. “As far as we know, we’re one of the only organizations in the country to provide these services free of charge,” Kolodny says. Private tutoring can cost between $70 and $100 an hour, far out of reach for students and their families. “A lot of our students are very bright. 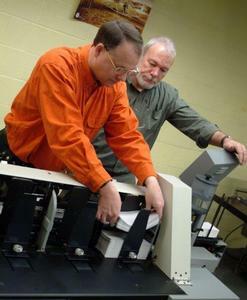 It’s just that they can’t read,” Bob Morton, Program Director, says. To learn to read, a student meets with his or her DTP tutor for one hour at least once a week. DTP then re-screens the student after every 30 hours of tutoring to measure improvement in areas such as word identification, word attack, spelling, fluency, and comprehension. While assessments and scores can show a student’s improvement throughout the school year, the greater impact comes later and is perhaps more difficult to measure: “By increasing a student’s reading ability, research says you increase his or her self-esteem, develop character, and create skills needed for future success in high school, college, vocational school, the workplace, and other life endeavors,” says Kolodny. 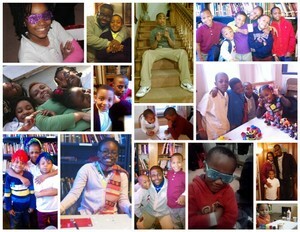 Ten of DTP’s students are now in college, and three just graduated. Of the five DTP students who finished high school this year, all of them plan to attend college. Founded in 2000, Art with a Heart provides classes in visual arts to underserved Baltimore area children, youth, and adults. Their mission is to enhance the lives of people in need through visual art. Part of Art with a Heart’s programming includes the Youth Entrepreneurship Program, which employs cohorts of youth in the spring, summer, and fall to create marketable art to sell in Art with a Heart’s retail store, HeARTwares. 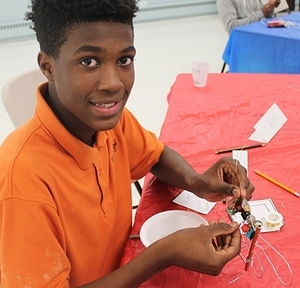 Youth complete a variety of art projects, such as designing table and chair sets in teams and learning other artmaking skills like wire and beading, wood burning, ceramics, and mosaics. In 2015, the Knott Foundation supported the Youth Entrepreneurship Program’s expansion from summer to year-round programming. This has not only grown the number of youth participating, it has also helped 83% of older youth working in the spring and fall cohorts to secure part-time or full-time employment after completion of the program. Moreover, by partnering with Youth Empowered Society, a drop-in center for youth age 14-25 experiencing homelessness, Art with a Heart is able to engage at-risk teens and young adults in the HeARTwares space for a real job experience. The youth make marketable art for the store and help run the retail operations. “Art with a Heart is one of the most effective workforce development programs for youth in Baltimore City,” proclaims Maia Gibbons, Workforce Development and Education Coordinator for Youth Empowered Society. “Many programs focus on hard skills such as learning a trade or teaching how to format a resume, but fall short on the soft skills development that our youth need – social skills, time management, conflict resolution, and communication skills,” explains Gibbons. By employing compassionate and committed educators to lead and mentor the youth, Art with a Heart creates a consistent connection with them and helps instill habits that translate into other areas of life. Each weekend, 3,000 people attend Mass at Saint Margaret Parish, a Roman Catholic community with two locations in the heart of Bel Air, Maryland. 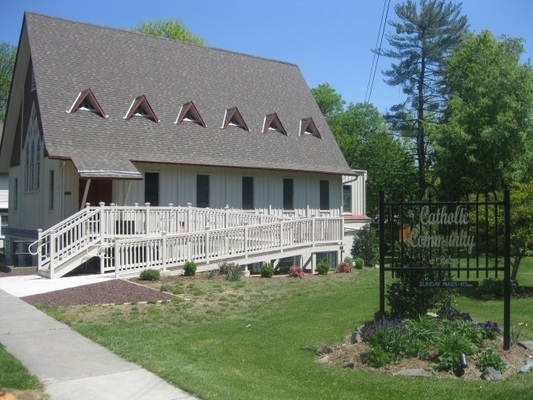 As the largest parish in Harford County – and one of the largest in the Archdiocese of Baltimore – Saint Margaret serves as the center of Catholic spiritual life for thousands of families. Replacing the 30-year-old roof of the church was the first phase of a larger renovation project at Saint Margaret, partially funded by an even larger campaign for the entire Archdiocese. “We raised a record amount of money from this parish for the Archdiocesan campaign, while also raising money for our own capital needs,” shares Monsignor Schleupner. “While we’re a large parish, we’re still a working class parish,” Monsignor Schleupner states. Support for the campaign is evident among a wide base of donors, who have all contributed what they can to make the church’s dream a reality. Among those donors, Saint Margaret received a capital grant from the Knott Foundation to help replace the aging roof. In this case, the construction project not only fortified the building, but also brought a new element of light and beauty to the entrance of the church. Community building is an integral part of the Catholic Church’s mission, and the campaign and renovations of Saint Margaret have brought the parish community together in multiple ways. For a time, parishioners attended Mass in the school gym, which the Liturgy Committee transformed into a worship space. People not only continued to come to Mass at Saint Margaret throughout the renovations, but many made personal gifts to the campaign. With a new roof and other infrastructure upgrades, Saint Margaret Parish has turned its attention to enhancing the feeling of fellowship in the interior church. It is this strong feeling of communion with God and one another that makes Saint Margaret the spiritual home for so many Catholic families throughout Harford County. Standing in front of the new Fire Alarm Office at the Fire Museum of Maryland, a group of school children chant, “911, fire! 911, fire!” They clearly know who to call and what to say when they see a fire. Each year more than 12,000 people come to the Fire Museum to tour its collection, conduct research in its archives, participate in a special event, or even celebrate a birthday party. The Museum relies on a team of approximately 25 people, half of them volunteers, to keep things running smoothly. Even with a small budget and a small staff, Heaver has a big vision: double the number of visitors to the Fire Museum to 25,000. He estimates that they can achieve this goal without increasing staffing or overhead, simply by taking advantage of economies of scale. “It’s not beyond the realm of possibility,” he says with a smile. Walking through the museum is like taking a step into the history of fighting fire. Visitors follow a path of technological innovation from the earliest years of hand drawn firefighting (1654 – Civil War), through the horse drawn period (1852 – World War I), and then finally the motorized era (1906 – present). Each piece of the collection is cared for and restored by the staff and speaks to the ingenuity of humankind. 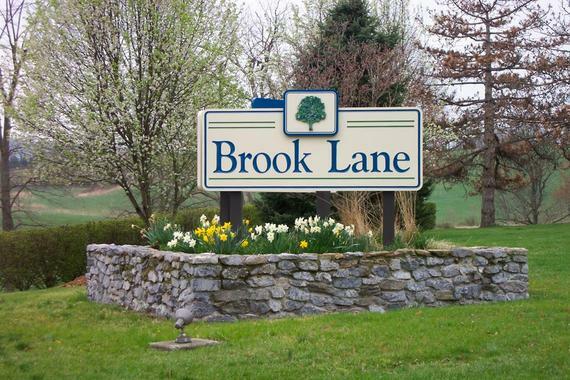 Many pieces in the collection are even from our own backyard – Baltimore City, Boonsboro, Ellicott City, and the Violetville neighborhood, to name a few. 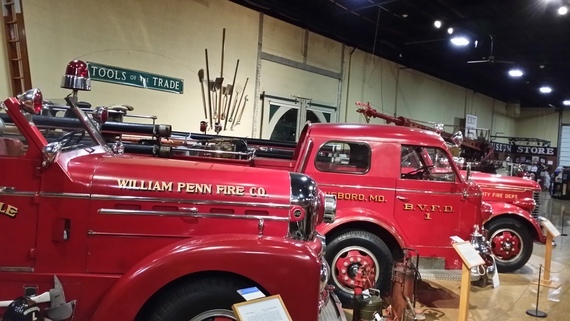 The Knott Foundation recently helped the Fire Museum renovate lighting for its exhibit space. With this grant and gifts from multiple other donors, the Museum replaced all of its 1971 fluorescent lamp fixtures and installed new LED lights as well as some track spot lights. “The new lights not only save energy and keep the artifacts from fading, they are much more visually pleasing,” Heaver comments. By telling the story of American urban firefighting, the Fire Museum manages to be so much more than a museum: It becomes a lesson in democracy and making decisions. It serves as an example of technology improving peoples’ lives. And it ultimately stands as a witness to heroism. Caring and nursing are synonymous in our society. Yet to be caring specialists for patients, nurses need a support system of their own. That is how the Grow Your Own program at Mt. Washington Pediatric Hospital in Baltimore got its start. Grow Your Own (GYO) is a pediatric nursing professional development program that includes a year-long residency for new nursing graduates or those new to pediatrics. It includes an orientation curriculum with classes like “Flu and Electrolytes” that utilize case studies and a simulation lab to foster problem solving, critical thinking, and technical skills. Interdisciplinary team building is another component of the program. Once a month, a “Mock Code” takes place in the simulation lab to improve communication between healthcare team members. Finally, GYO supports ongoing professional development for nurses at all levels by providing accredited continuing education courses and preparation for pediatric specialty certification. “Change is constant in health care,” remarks Sharon Meadows, MS, RN-BC, Director of Education & Professional Development. “There is always new knowledge and new evidence out there to be integrated into practice.” Add to that the hyper-specialized nature of pediatric transitional care, and the need to “grow your own” team of highly-trained nurses becomes even more important. Founded in 1922, Mt. Washington Pediatric Hospital was one of the first healthcare institutions in the United States devoted solely to the care of children. In their early years, they saw children suffering from rheumatic fever, polio, and influenza. Today, they serve 7,500 children each year for conditions such as feeding disorders, congenital challenges, diabetes, and more. In many ways, Mt. Washington Pediatric Hospital is the bridge between a child’s stay in a more medically-intensive environment, like the ICU, and the child’s home. This transitional care environment means that the hospital’s medical staff work closely with parents to make sure each child’s healing continues well beyond the hospital stay. Since beginning as a pilot in 2009, the GYO program has exhibited impressive results in helping the more than 100 nurses at Mt. Washington Pediatric Hospital learn and grow. During the year the Knott Foundation supported GYO, the 12-month retention rate for new nurses was 100%, compared to just 50% prior to GYO’s founding. Meanwhile, 10 nurses received their specialty certification. These positive results have persisted. The hospital now boasts nursing retention of 100% at 6 months, 95% at 12 months, and 83% at 18 months. Also, the number of certified nurses has grown to reach 30% of their nursing workforce. With a track record of consistent, positive results, the GYO program has gone from being a pilot program supported by grant funding to being a permanent program sustained by the hospital’s budget. “Grant funding allowed us to build the program and demonstrate success for a few years. We couldn’t have done what we did without grant support,” Meadows recalls. 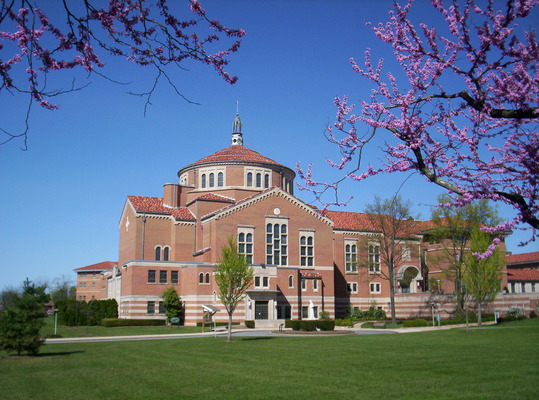 Located in Emmitsburg, Maryland, the mission of the Shrine is to promote the life and legacy of Mother Seton, the first native-born Catholic American saint, as a source of inspiration and encouragement for all people. The Shrine is home to a museum and historical grounds that pay tribute to the life and work of Mother Seton, and a Basilica where she is laid to rest. Today, the Shrine welcomes more than 45,000 visitors each year. Additionally, approximately 60 religious sisters reside on the campus of the Shrine. “Through our work, the sisters hope that more people will be drawn to the Shrine, that their experience will bring them closer to God, that they will see Mother Seton’s witness of charity to the poor, and that they will go home and want to live that out in their own lives,” Judge says. To further its mission, the Shrine recently expanded its day retreat program with support from the Knott Foundation. From large confirmation retreats with 80 eighth graders, to faculty and staff retreats from area Catholic schools, to small parish groups, the Shrine is now a bustling retreat center. During the grant period, the Shrine held 29 retreats, up from 6 retreats the previous year. 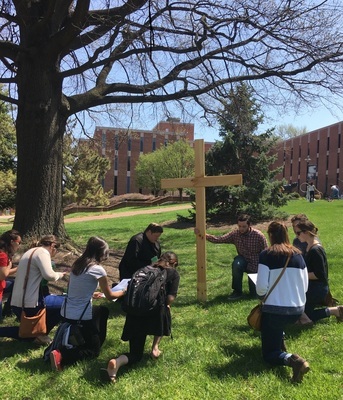 With an average retreat size of 35 people, the program also brought many new visitors to campus. Overall visitorship to the Shrine increased significantly during the grant period. The upcoming 40th anniversary of the canonization of Mother Seton will offer a unique opportunity to continue to grow the retreat program. “When the groups are here, they’re able to spend time in the museum, watch the orientation film about Mother Seton, take a walking tour through the historic campus, attend Mass in the Basilica, and make private devotions in the chapel,” remarks Erica Colliflower, Retreat Coordinator. Notably, most organizers indicate that they would have hosted their retreat at a hotel, or not at all, if it were not for the Shrine’s retreat facilities. The hallways of St. Elizabeth School bustle with activity as students return to class after lunch in the cafeteria. In some ways, it seems like a typical school, but in other ways, it feels more special than that. St. Elizabeth School, a ministry sponsored by the Sisters of St. Francis of Assisi, opened in 1961. Today, the School serves 120 students in the Baltimore metro area, ages 6-21, who have been diagnosed with disabilities such as autism, traumatic brain injury, emotional disabilities, intellectual disabilities, orthopedic or other physical impairments, or multiple disabilities. “Every child with special needs deserves an appropriate education, and at St. Elizabeth School, we do more than that,” affirms Christine Manlove, Ed.D., Executive Director. 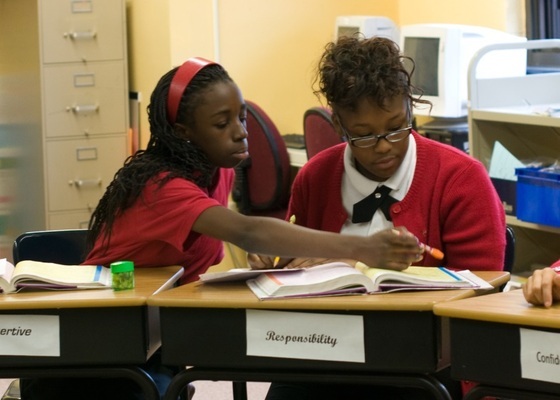 Oftentimes students have struggled in other environments but flourish at St. Elizabeth, benefiting from skilled teaching, onsite clinical and therapeutic services, integrated use of assistive technology, a robust workforce development and transition program, and above all, an atmosphere of mutual respect and a sense of belonging. The Knott Foundation has awarded St. Elizabeth School more than $100,000 over the past decade for capital needs, academic programs, and technology purchases. Most recently, the School received a $45,000 grant to install SMART Boards in seven classrooms, which advanced their focus on integrating technology to improve students’ learning experience. St. Elizabeth approached measuring the impact of the SMART Boards in their classrooms in a unique way. Through pre- and post- surveys, and comparisons to behavioral incident reports filed through the national School-Wide Information Systems (SWIS) database, they were able to observe measurable improvements in both student behavior and time devoted to educational tasks when the SMART Boards were in operation. For example, when a SMART Board is being used in the classroom, the number of behavior incident reports decreases by 28.5%. And better behavior means more time focused on task. St. Elizabeth estimates that they earn back nearly seven educational days from the use of the SMART Boards over the course of an academic year. Sometimes we forget the importance that Baltimore plays in this nation’s history… and sometimes we can forget the role that museums, like the Star Spangled Banner Flag House, play in reminding us of this history. 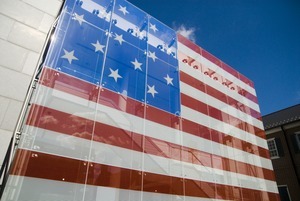 Touring the Star-Spangled Banner Flag House is like taking a 200-year journey through time and back again. On the Flag House’s campus in downtown Baltimore sits both a home built in 1793 and a modern museum that opened in 2004. Together, these buildings tell the story of the American flag that Mary Pickersgill sewed, which inspired the poem that became our National Anthem. “Flags were a very important means of communication,” explains the museum’s docent. “They would signal everything from a company name, to a ship’s cargo, to a country’s land.” The American flag that Mary Pickersgill sewed came with special instructions: make a flag so large that the British could not miss it. When it was finished, the flag measured 40 feet by 32 feet. Today, the Flag House’s campus contains a two-story Great Flag Window, which is the same size and design as the original. Each year 12,000 visitors come to the Flag House to learn about domestic life in early America, the making of the Star-Spangled Banner, the War of 1812, and the writing of the National Anthem. More than half of these visitors are students from Baltimore City and Baltimore County. “In 2012, we saw a large uptick in the number of classes coming to the Flag House due to the bicentennial celebration of the War of 1812. Since then, our numbers have remained high,” shares Annelise Montone, Executive Director. Over the past several years, the Knott Foundation has awarded the Flag House multiple discretionary grants to support the organization’s general operations and exhibits. The Foundation’s discretionary grant program provides awards between $500 and $2,500 and serves as a way for trustees to support organizations that most interest them – such as telling the story of Baltimore’s role in our nation’s great history to students and families who live here. Since 1991, Shepherd’s Clinic has grown from a small medical clinic located in the basement of Seventh Baptist Church to an integrative health center recording, at its height, 18,000 volunteer hours and 9,440 patient visits in one year. The Clinic serves patients whose income falls below 200% of the federal poverty index, and their catchment area includes the Waverly, Coldstream-Homestead-Montebello, Hampden and surrounding neighborhoods of Baltimore City. “The Clinic was originally founded to help the many non-urgent, uninsured patients going to Union Memorial’s emergency department,” shares Melissa DeLong, M.D., Medical Director. The connection to Union Memorial became deeper when Dr. William H.M. Finney, former Chief of Staff at Union Memorial, became the Clinic’s first volunteer Medical Director. “Dr. Finney set the tone for the Clinic, bringing an inspiring spirit of service and steadfast dedication to patient care,” DeLong remarks. 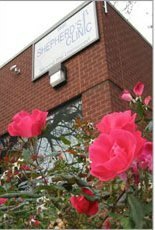 Today, Shepherd’s Clinic’s holistic approach to serving patients is a hallmark of the Clinic. Their campus includes a medical clinic, lab, as well as a full-service wellness center. The Joy Wellness Center offers psychiatric consultations, massage therapy, acupuncture, yoga classes, walking groups, and cooking lessons, among other things. Notably, all of Shepherd’s Clinic’s direct patient care services are provided by a vast and committed volunteer base. Volunteers range from the enthusiastic pre-med students from Johns Hopkins University manning the front desk, to the pharmacy students from Notre Dame of Maryland University’s School of Pharmacy, to the nurses, primary care physicians and specialists seeing patients every day. The Knott Foundation has provided Shepherd’s Clinic with more than $180,000 since 2000, largely to support the Clinic’s general operations. During the most recent grant period, the Clinic saw record growth in patient visits – so much that the organization had to reaffirm its service area in the neighborhood to ensure continuation and quality of care as well as organizational stability. Healthcare reform will mark another defining point in the Clinic’s growth and history. Many of Shepherd’s Clinic’s patients will be eligible for medical assistance under new federal guidelines, and others will be eligible for products on the healthcare exchange. Even with these new measures in place, however, it is still expected that patients will experience gaps in coverage. Care will not be seamless, and people will still need an advocate to help them understand the system and reassure them that they will be taken care of. Shepherd’s Clinic will continue to meet the demand for free and affordable health care by adapting into a hybrid model that includes the existing free clinic for the uninsured, a new fee-based clinic, and a navigation service to help people acquire health coverage. Love is shown more in deeds than in words,” St. Ignatius wrote. Today, the Ignatian Volunteer Corps lives out this principle by serving the poor, by working for a more just society, and by imparting the Catholic tradition of Ignatian spirituality. organized group meetings and spiritual reflection exercises. The Knott Foundation made an early investment in IVC to help test their plans for dramatically increasing the organization’s number of volunteers. The grant allowed IVC’s Baltimore regional office – which had been in danger of closing – to hire a Regional Director who, in just one year, demonstrated significant results: Ten new volunteers recruited. Seven partner agencies added. An extra 4,500 hours of service performed. $20,000 in new partnership fees secured. And nearly $13,500 in individual gifts and fundraising event income raised. These results, along with important data about the retiring population and rising social service needs, led IVC to launch a national campaign to raise $1 million and double the number of IVC volunteers over three years. How many young people can calculate the value of a stock portfolio or define the difference between gross and net income? Nine in ten Catholic school seventh and eighth graders could, after participating in Junior Achievement of Central Maryland’s Finance Park program. “At Junior Achievement, we give young people the knowledge and skills they need to own their economic success, plan for their future, and make smart academic and economic choices,” remarks Jennifer Bodensiek, President of Junior Achievement of Central Maryland (JA). JA’s programs are designed to deliver hands-on experiences that give young people the knowledge and skills in financial literacy, work readiness and entrepreneurship. “JA helps students by supplying a real-world perspective that complements classroom learning,” Bodensiek says. “This approach is especially important given so many young people drop out or perform poorly in school because of boredom. This sense of boredom often stems from a disconnect between the classroom and the skills they perceive needing in the real world. The goal of JA programs and our cadre of trained corporate and community volunteers is to share life lessons to make learning come to life and be that connector between the classroom and the real world,” she adds. When it comes to connecting with more young people, JA has had great success. The organization currently serves 33,000 students annually in 12 Maryland counties, a 64% increase from the previous year. Over the last 15 years, the Knott Foundation has invested nearly $100,000 to support JA’s work in Catholic schools in particular. Most recently, a grant enabled more than 3,000 middle grade students and 800 elementary students to participate in JA’s two capstone programs, JA BizTown and JA Finance Park Virtual. 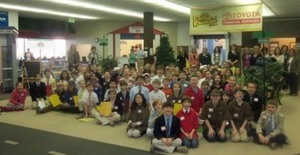 JA BizTown is an interactive experience where students visit a simulated town, work at assigned jobs, receive paychecks, buy and sell goods and services, and manage their business and personal finances. When students are older, they participate in JA Finance Park Virtual – a computer simulation where a student receives a unique profile (such as a married woman with two children making $40,000/year) and then plays the game of life, budgeting and investing her own money as various situations arise. Some students use the classroom computer to print their homework because they don’t have a printer at home. Others need the computer for assistive technology to accommodate their learning needs. And yet others might use it to access an online dictionary and challenge a friend’s word during a heated Scrabble game. In all cases, students at Mother Seton School in northern Frederick County use technology in the classroom every day. Mother Seton School (MSS) is an independent Catholic school established by the Daughters of Charity in 1957. The School traces its roots back to St. Joseph Academy and Free School in Emmitsburg, which was founded 200 years ago by St. Elizabeth Ann Seton herself. Today, MSS serves approximately 300 students in pre-k through eighth grade. The School is committed to St. Elizabeth Ann Seton’s legacy of providing Catholic education to students from families of diverse economic backgrounds, and as such, tuition is the lowest among all private schools in Frederick County. 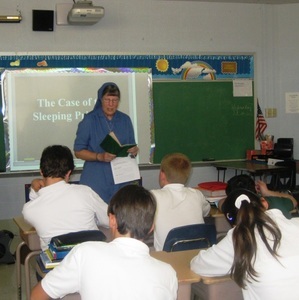 With a grant from the Knott Foundation, Mother Seton School installed interactive ceiling mounted projectors in their remaining four classrooms without this equipment, purchased computer workstations for student use in each of the 16 classrooms, and provided staff development in instructional technology. During the grant period, seven MSS faculty (which equates to one-third of their faculty) enrolled in a three-credit graduate course through Mount St. Mary’s University called “Integrating Technology into Instruction.” The course was offered on-site at the School. “We realized it would probably be more appropriate for the teachers in this building to have training using the technology they have here,” shares Laura Frazier, Ed.D., Assistant Professor of Education at Mount St. Mary’s University and MSS Technology Committee member. “The class inspired me to use more equipment and not be afraid of it,” one teacher who completed the course comments. Dr. Frazier adds that graduate instruction goes well beyond teaching the technology tools used in today’s classrooms: “We look at how each technology tool enhances student learning, and we talk extensively about instructional decision-making. Using technology for the sake of using technology is not a good reason to use technology,” she affirms. What Does it Mean to Be a Red Devil? The name itself references the chemotherapy drug Adriamycin, commonly used in the treatment of a wide range of cancers including breast cancer. It is also the title of Katherine Russell Rich’s spirited memoir about her own breast cancer treatment entitled The Red Devil: To Hell with Cancer and Back (Metheun, 2002). The book inspired the mother of breast cancer patient Jessica Cowling, and she later adopted the team name The Red Devils for the Susan G. Komen Race. When Jessica and her friend Ginny Schardt died of breast cancer, the organization The Red Devils was founded in their honor. Ten years later, The Red Devils serves nearly 700 breast cancer patients and their families each year. The organization’s geographic reach has grown from one hospital in Baltimore to 39 hospitals across Maryland. Notably, they are able to serve all of these patients with only two staff members and a network of hospital coordinators, namely nurses and social workers. “It’s a brilliant business model that was created by our founders and has served us well,” shares Janice Wilson, Executive Director, explaining that the organization dramatically limits its overhead by vesting certain decisions with professional staff at the hospital level. The Knott Foundation has awarded The Red Devils $60,000 in operating support over the past five years, ultimately helping the organization grow from serving 500 patients in 2008 to nearly 700 in 2011. On average, The Red Devils provides each patient or family with $300 for critical needs, including transportation to treatment, family support, and medical costs. 52,000 labor hours created. $3.2 million consumer dollars saved. 11 million pounds of landfill waste diverted. And that was just in one year! Founded in 2001, Second Chance provides people, materials, and the environment with “a second chance.” The organization deconstructs buildings and homes, salvages usable materials, and then sells them to the public. The sales proceeds funnel into their workforce development program, which provides job training and placement to those with employment obstacles in the Baltimore region. Yet the turn is not an easy one. Job trainees must pass a rigorous two-week evaluation and qualifying period, which includes life and safety skills development, and then embark on 16 weeks of on-the-job technical instruction in how to use numerous types of power tools, hand tools, and equipment. Upon completion of the program, qualified trainees receive additional, specialized training in lead abatement and other hazardous materials removal and handling, as well as forklift operation. And those motivated to advance further can go on to receive certificates in carpentry, restoration, manufacturing, plumbing, electrical and masonry. In the end, trainees are placed in green jobs at companies such as Hirsch Electric and Waste Management System. With funding from the Knott Foundation, Second Chance expanded the capacity of its job training program from 10 new trainees in 2010 to 30 in 2011, and they grew to reach more than 50 in 2012. Even more impressive are the outcomes from the program: During the grant period, for example, Second Chance boasted a 100% graduation rate. Every graduate was placed into a green job, and 97% remained in their jobs after one year. Moreover, ten workforce trainees were promoted, resulting in a combined annual pay increase of $52,000. You might see them in chest waders scooping debris out of the lake with pool skimmers. Or mulching trees. Or inspecting playground equipment for safety. In all cases, the Friends of Patterson Park will be helping to steward the resource that is near and dear to their hearts: Patterson Park. The first known resident of what is now Patterson Park arrived in 1669. A lot has happened in the last 340 years, and now Friends of Patterson Park, which was founded in 1998, is working with more than 600 volunteers to preserve and enhance all that the Park offers. 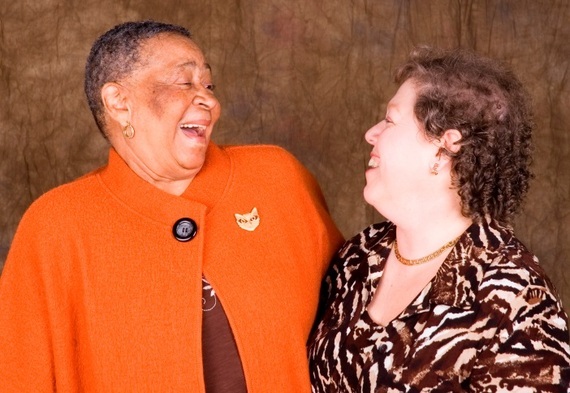 The Knott Foundation stepped in to help Friends of Patterson Park in late 2011 through a Program-Related Investment (PRI). PRIs, also referred to as cash flow loans, provide nonprofits with access to capital at lower interest rates and at shorter turnaround times than might otherwise be available. For Friends of Patterson Park, some of their fundraising activities, including a major event for corporate donors, had been delayed with the leadership transition, so the organization needed a boost to carry them through the fall. annual grants from two foundations; exceeding individual giving goals with the help of the State’s tax credit program; and meeting a $15,000 matching grant from the Meyerhoff Foundation in just 45 days. The year finished with a cash surplus, and the Friends paid the loan back to the Knott Foundation early. 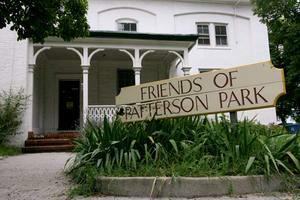 “This is a new chapter in the history of the Friends of Patterson Park,” states Harget. Indeed it is, and the Knott Foundation is honored to be a part of it. Imagine if your shopping list included 1,250 lbs. of meat. Every day. That is the reality for Meals on Wheels of Central Maryland, the largest and longest continually operating Meals on Wheels program in the country. 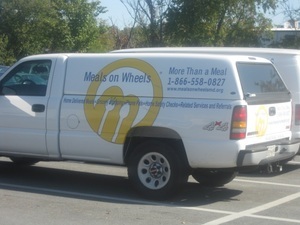 The central mission of Meals on Wheels is to feed those in need. Every day, more than 250 committed volunteers deliver a hot lunch and refrigerated dinner to approximately 1,500 people living in the Metro Baltimore area. These include the elderly and chronically disabled, as well as the temporarily disabled, such as those on bed rest during pregnancy or recovering from major surgery. Many times, the client’s only social contact outside the house is the Meals on Wheels volunteer who comes to visit each day during the week. In fulfilling its core mission, Meals on Wheels is often so much more than just a conduit for sustenance – it’s a lifeline to the homebound. On Labor Day this year, a Meals on Wheels driver was delivering lunch and dinner to a woman living at home in a wheelchair. When he arrived at her house, she did not answer the door, and he could hear her crying out for help from inside the house. She had fallen out of her wheelchair on Saturday, and when he found her on Monday, she had gone 48 hours with no food, no water, and no ability to move or reach a phone to call for help. “The sad truth is that she probably would have died there, had it not been for Meals on Wheels,” relates Barbara Levin, Client Services Director. “The volunteers and clients become quite attached to each other,” explains Ellen Falk, Volunteer Retention and Recruitment Coordinator. Volunteers often shop for clients, bring in their mail, take out the trash, and talk to them about their families. After excitedly telling clients about her daughter’s upcoming wedding, one volunteer brought her daughter and the wedding pictures on her route to share with clients. Then there is the exceptionally dedicated gentleman who volunteers all five days a week. He recently retired, and his wife of nearly 60 years told him he “needed to get out of the house and find something productive to do with his time.” Thank goodness for Meals on Wheels! Yet the good work that Meals on Wheels does out in the community starts inside the warehouse kitchen. In 2010, the Knott Foundation awarded a grant to meet a funding challenge from the France-Merrick Foundation, which enabled the organization to purchase a Cook-Chill System. Even with these advances, Meals on Wheels is still faced with the daunting task of meeting growing needs. With the aging population, the organization is projecting an explosion of demand over the next ten years. “The goal is to double the number of clients served by 2020,” states Toni Gianforti, Grant Writer. The Cook-Chill System is one way they are increasing their capacity to produce more meals. Another way is through a new tray sealing process, funded by a $100,000 grant from The Walmart Foundation and the Meals on Wheels Association of America. Notably, the grant required a quick turnaround of a 10% match, and the Knott Foundation provided the initial $1,000, with the Board pledging the remaining $9,000. “The Knott Foundation provided the weight and leverage we needed to secure the rest of the funds,” Gianforti adds. Thus, with an impressive history in Maryland and an ambitious charge for the future, Meals on Wheels continues to help homebound people eat well, live independently, and enjoy peace of mind. When Shawn came to St. Francis Neighborhood Center two years ago, he was failing the fourth grade. He was a bully at school. And he was generally angry at the world and uncomfortable in his own skin. What he needed was to be given back the power to choose his own direction in life – essentially, the mission of The Power Project, a youth development program at St. Francis. The past two years in The Power Project have helped Shawn to regain his self-confidence. Surprisingly, he now breezes through his math lessons, thanks in part to his mentor in The Power Project, a Ph.D. candidate in mathematics at Johns Hopkins University. The Power Project began two years ago with a $30,000 grant from the Knott Foundation and recently received $45,000 from the Foundation earlier this year. With 30 children, the program operates at full capacity and has a waiting list. “Power is truly the formative word in this program,” shared Sarah Tarighi Murphy, Executive Director. At The Power Project, the Center’s staff works with each child and his or her family to develop a Power Plan to identify a child’s Power Goal (their ultimate life goal; i.e., “I want to be a teacher”), short-term and long-term objectives, and the resources needed to achieve their goals. Participants even eat a Power Snack – a healthy meal that the children prepare alongside volunteers once a week. For almost 50 years, St. Francis Neighborhood Center has been a cornerstone of Reservoir Hill in Baltimore City. Founded by two Catholic churches in 1963 – both aptly named St. Francis – the Center began as a Catholic outreach ministry where young Jesuit priests were assigned to work. Enter Father Tom Composto in 1965. 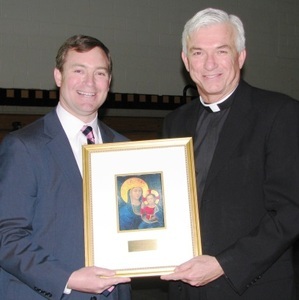 Father Tom became the lifeblood of St. Francis Neighborhood Center. “He gave the word ‘service’ meaning,” declared Murphy. “He lived it with every action and every word.” Indeed, Father Tom was closely connected to the people of Reservoir Hill and kept his promise to serve them every day of his life. Sarah Tarighi Murphy currently serves as the Executive Director of St. Francis Neighborhood Center. After initially pursuing a career in the advocacy and public policy arena, she felt instinctively drawn to the positive and powerful feeling inside the walls of the Center. Through her work, she witnesses how people change themselves every day as a result of the Center’s mission. 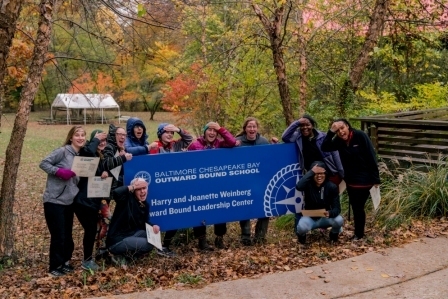 Being a young leader in the Baltimore nonprofit community, Murphy was honored to participate in the first cohort of the Leaders Circle, which the Knott Foundation founded in 2009 in partnership with Maryland Nonprofits and University of Baltimore. The Circle consisted of nine Executive Directors who met monthly to problem-solve and share stories. “It was amazing how so many different people from different organizations were dealing with the same issues,” expressed Murphy. So, under bright new leadership, the mission of St. Francis Neighborhood Center to break the cycles of poverty continues. And Father Tom’s legacy lives on in the seemingly ordinary, yet heroic, work that is done. And Shawn, in The Power Project? He is finally able to just be a kid. It took three tries for the fifth-grade students from Baltimore City’s Green Charter School to identify a component of Real Food Farm that actually cost the organization money. Tyler Brown, or “Farmer Brown” as he is called by the kids, shared that Whole Foods and other companies deposit their trash at Real Food Farm to serve as composting material. And the wood chips came from a tree company that otherwise would have taken them to the dump. But the hoses, well, those did cost money. Real Food Farm is a project of Civic Works, an organization focused on giving people meaningful opportunities to serve their community. 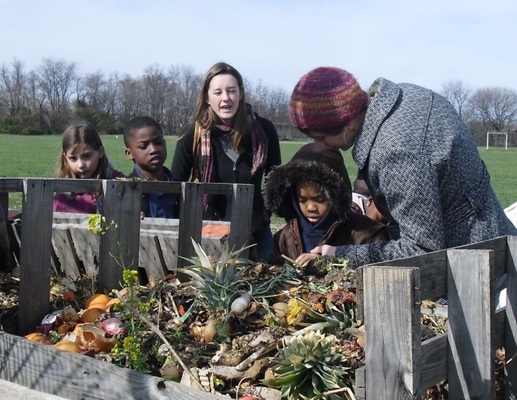 The Knott Foundation has supported Civic Works for a number of years, most recently awarding a $50,000 grant to the Real Food Farm Project in 2010. From farming, to tutoring and mentoring, to learning how to construct a green, energy-efficient roof, Civic Works acts as a bridge between human capital and community needs. While the majority of volunteers are in the 17-24 age range, the organization also employs elementary-age and senior volunteers, and they come from many different parts of the country. On a sunny April afternoon amongst fields of freshly planted garlic, onion, carrots, and spinach (and four scarecrows! ), a group of high school volunteers from Detroit was helping to build a hoop house. A hoop house is basically a low-cost greenhouse. Real Food Farm has five hoop houses and hopes to grow that number to 20 in the future. The hoop houses allow the Farm to cultivate fruits and vegetables year-round and therefore provide fresh produce to the communities of South Clifton Park, Darley Park, Belair-Edison, and Coldstream-Homestead-Montebello on a regular schedule. Civic Works recently received a van that will be painted to feature Real Food Farm’s mobile produce market. “The great thing about the Farm is that it not only provides fresh, organic produce to the local community, but it also reduces the transportation costs for the goods and provides an educational platform for kids to see how fruits and vegetables are grown and how they can be prepared in healthy meals,” stated Earl Millett, Director of Volunteer Services. Founded in 1993, Civic Works is headquartered in Clifton Mansion, a structure dating back to the late eighteenth century that is still being carefully restored by Civic Works and the Friends of Clifton Mansion. With additional resources, Civic Works plans to further renovate the Mansion in order to enhance its programs. Even Real Food Farm would be able to use a renovated kitchen to expand its cooking classes, since not all residents of the neighborhood are familiar with how to prepare fresh produce and preserve the nutrients. In the meantime, it seems that Civic Works is still operating at full capacity, and the volunteers just keep calling. So many volunteers, in fact, that Millett explained he sometimes must find alternative opportunities for them with organizations such as Habitat for Humanity, Blue Water Baltimore, Paul’s Place, Baltimore Reads, or Baltimore City Recs and Parks. If you call and happen to have any garden hoses, however, Civic Works will take them.